According to Sally Goddard Blythe, director of the Institute for Neuro-Physiological Psychology, singing lullabies and nursery rhymes to infants before they learn to speak can lead to future educational success and emotional well-being. She identifies singing as speech all on its own; a special kind of speech that carries the inflections of children’s primary language and therefore prepares a child for its acquisition. It has been proven that traditional songs enhance a child’s ability to think in words, and that when they are listening to and singing along to them they are actively using and developing both brain hemispheres. 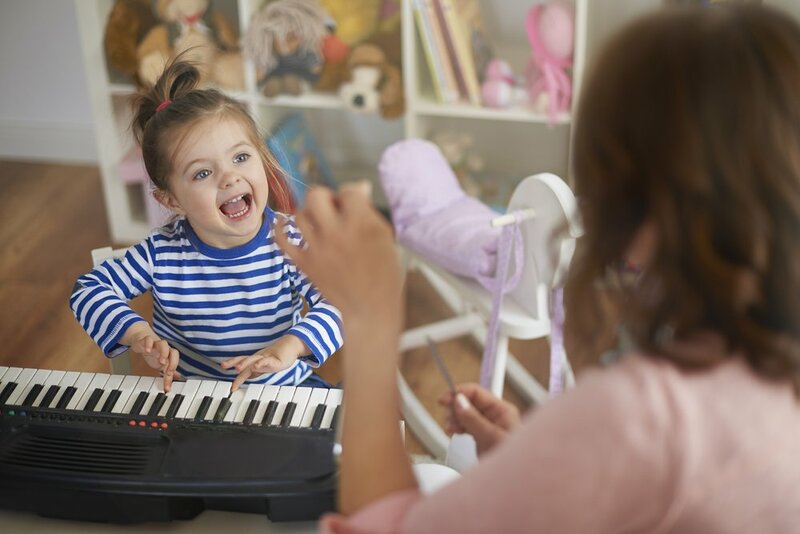 Singing songs with your child will also teach her about tone and rhythm. Therefore, it’s even better if you dance along to the music, so that your little one practices her coordination, balance, and body awareness. When it comes to playing musical instruments, benefits towards language development are also present. A child who learns to play an instrument may actually have better reading comprehension skills than one who doesn’t. Singing to your baby and exposing her to music will help develop language skills such as auditory discrimination, vocabulary development, and auditory memory. The first refers to the ability to differentiate sounds in a native language. Since babies first learn the sounds of a language and then the meaning behind the words, hearing the same songs over and over again can help with that. Singing is also a great way to help your little one to learn new words and expand her vocabulary. Whether they’re songs about the school bus or the different body parts, remembering the lyrics will help your child discover new aspects of language.